For the longest time, the stereotype of the American gun owner was of the Old Fat White Guy aka the OFWG. 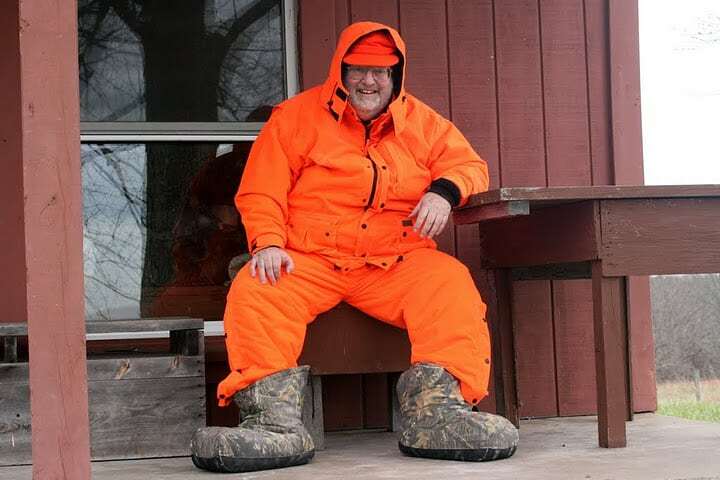 Clad in RealTree or safety orange, the OFWG stuck to the woods, drank cheap beer, and bought in his fair take of game during hunting season. Sidebar: I’ve got no objection to hunter orange. If I’m in the woods, I want to be seen, in most cases. These guys typically got their gun news and marketing via traditional methods. Catalogs, Guns and Ammo Magazine and Shotgun News (yeah, go ahead and buy that $100 auto sear…), to name a few. The internet never really crossed their minds. It was the province of geeks, freaks, and nerds. Despite the fact that there is a strong tradition of firearms interest in the geek community, due to it’s ties with Libertarianism and all. Things changed in the early 2000s though. In part because of organizations like the NRA and the Second Amendment Foundation and a strong push by the then-nascent firearms community on the internet, the much-maligned Assault Weapons Ban (AWB) was allowed to sunset. There was a push to extend/make it permanent, but the community came together and campaigned for it’s repeal. The industry took notice of course, seeing the strong push online for allowing the sunset to go on as planned. Digital democracy had come to the Second Amendment world. In a survey of gun owners conducted by the Author on the internet-based web forum www.thefiringline.com, 78.95% of 114 responding gun owners claimed that the 1994 ban had influenced their voting practices and would continue to influence them in the 2004 election. After this, the industry woke up, albeit slowly. Finally, manufacturers of all stripes made their websites functional, and a new generation of tinkerers, inventors, and enthusiasts, already well-versed in digital technology, took to the web and started hawking their wares. In an ultimate example of agility, these “Gun Culture 2.0” enthusiasts, far outclassed the traditional companies with their online acumen and know-how. Companies like Silencerco base their entire sales efforts around a strong online and social presence. And this, is how you reach the Regular Guys out there. They have their smartphones, their laptops, iPads, and so forth. They aren’t reading Guns & Ammo.